Since 1998, PowerArchiver has been reviewed by numerous magazines, software download sites and blogs. PowerArchiver has consistently been one of the best reviewed utilities in the world. Read what some of the reviews have written about PowerArchiver. Built as a comprehensive archiving utility, PowerArchiver not only is capable of rapidly creating archives at a good compression ratio, but it also has a few bonus tools up its sleeve for experienced users, such as a built-in FTP client, disc burner and backup manager, along with support for various cloud clients. 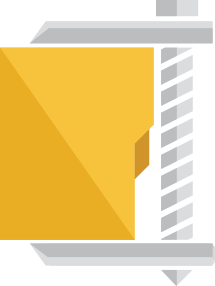 It supports a wide range of file types for creating archives, including .zip, .zipx, .7z, .lha, .cab, .bh, .tar, encoded files, .iso and .rar (if WinRAR is installed). However, this list is extended when it comes to extracting files from archives, making room for .lzh, .ace, .jar and .gzip, among others. Power Archiver 2015 makes it easy and convenient to perform any action with the archive files; you can create, open and extract files; add files to archives and create self-extracting or multi-volume archives; recover and fix damaged ZIP archives and much more including a built-in FTP client with the ability to upload and transfer files through encrypted protocols. Power Archiver 2015 is a very powerful and multi-purpose program for the Windows operating system and surpasses a lot of other similar applications. It supports a huge variety of formats-ZIP, RAR, and so on. The great advantage of the program is that it has got an inbuilt viewer for graphic and text files; so you can view them directly within the archive without extracting them and without any external program. In addition the program supports AES encryption, virus scan with the help of default antivirus program installed on the system, etc. On the whole Power Archiver has proved itself to be pretty good. Rich functionality, seamless integration with the Windows Explorer, perfect compression and decompression speed, etc. make Power Archiver undoubtedly one of the best program on the software market. PowerArchiver comes with an interface in Office style and you will feel familiar with it. Features are spread over the interface, arranged in tabs. Besides archiving and compression, this program has additional features like a FTP client, a backup module and disc burning. File compression interface provides a variety of options and is easy to use. PowerArchiver isn’t the fastest, but provides a decent speed when you want to create a new archive. PowerArchiver is also great regarding the number of compression formats. It supports all popular types of archives such as .zip, .zipx, .7z, .tar.gz. Conclusion:A quality software with an exceptional extraction speed. Quite simply the most comprehensive tool. This major update (PowerArchiver 2016 v16.10.14) simply enhances the deserved reputation this polished, professional yet straightforward archiving tool has built for itself. Our Best Buy, this feature-packed compression utility provides solid compression and encryption options. This versatile app extracts a vast range of file formats, including essentials like .zip. It also extracts, though it won’t burn, .iso, .nrg, .img, and .bin CD/DVD images (single large files that are an exact copy of what will appear on a disc). PowerArchiver also offers some excellent extra features, including an easy-to-use automated file backup wizard and the ability to upload backups to an FTP server, all without leaving the program. At $20 (as of 12/6/06), PowerArchiver offers more features than the respective $30, $29, and $25 entry-level versions of WinZip, WinRAR, and StuffIt. It’s definitely an attractive option if you’re looking for an archive tool that includes automated backup/FTP capabilities. If you play games a lot, you constantly download demos, patches, updates, and Internet-only releases. Most of these are in compressed form, requiring a special decompression utility to handle all the formats; after considerable hunting, I finally found one — PowerArchiver — that is incredibly powerful, small, and fast, and stands head-and-shoulders above all other competitors. PowerArchiver’s tools cover security password management, backup creation, format conversion, compressed file repair, and multi-volume, batch, and multi-archive management. I love having a single utility that will decompress or compress any game code I want. Quite simply the most comprehensive tool for working with compressed files. Why can’t the world just stick to one simple compressed format like zip, we hear you cry. There are all manner of reasons for choosing a different format – .7z is open-source for example – but most OSes can only handle a limited number of compression formats natively. This is where a dedicated archiving tool come into play, and there’s none more comprehensive than PowerArchiver. It supports so many file formats (over 50 at last count) that it’s pointless to list them all – suffice to say pretty much any archived format can be read, and the key ones (including of course zip, 7-zip, TAR, GZIP and even ISO) can be written to as well. A strong feature set and impressive flexibility are what we love most about PowerArchiver 2006. It natively supports more than a dozen compression formats, including CAB, RAR, and ZIP, as well as the BIN, IMG, ISO, and NRG disc-image formats. Also, you can encrypt your archives using one of five secure algorithms. Editors: Contact us if you have reviewed PowerArchiver and you will be included on this page.